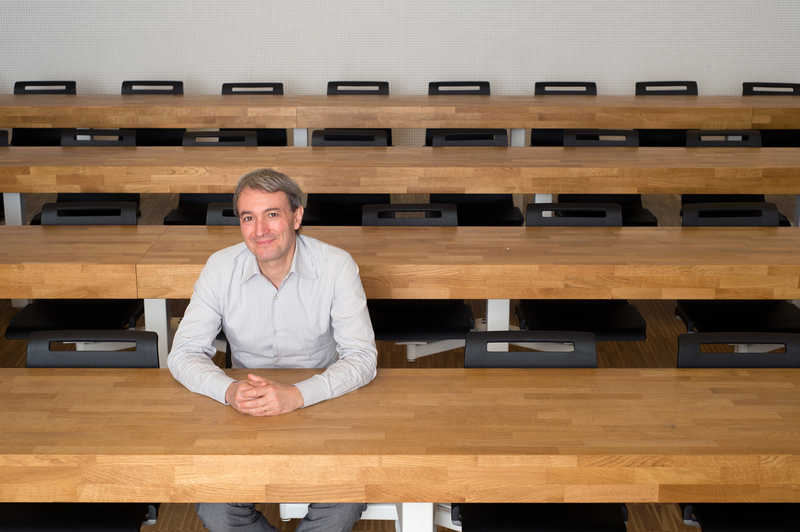 A professor at UNIL since 2004, Fabrizio Butera has accumulated hundreds of studies and publications involving a long line of young researchers. At 52 years old, he retains an air of youth beneath his grey hair and a bright curiosity incapable of being extinguished as he explores the inner workings of our society on the ground and in the laboratory. His tireless work in the field has earned him a veritable career-affirming prize, the Kurt Lewin Medal from the European Association of Social Psychology. This scientific discipline always depends on solid instruments of measure and duly collected data: through questionnaires seeking to detect attitudes and intentions, laboratory experiments when a specific mechanism must be isolated, surveys of teachers in Vaud, for example, or former combatants in Colombia facing a return to civilian life. This last domain was the subject of an article by Odile Cuénoud González and Alain Clémence in a book edited by professors Christian Staerklé and Fabrizio Butera and published in Éditions Antipodes (2017): Conflits constructifs, conflits destructifs (Constructive Conflicts, Destructive Conflicts). A work that provides a rich explanation of what social psychology is and what it can do to suggest adaptations, improvements or even revolutions in numerous sectors and situations. Passionate about the challenges of education, for this book Professor Butera and Christian Staerklé sought to bring together seasoned colleagues and young researchers from the Doctoral School of Social Psychology of the universities of Lausanne and Geneva. Careful to ensure the work was collaborative, he underscores the competitive character of destructive conflicts and the cooperative character of constructive conflicts. ‘If we approach the conflict from the perspective of learning, of confronting points of view, of reflecting on one’s own position and the progress that this collaboration can bring to clarify one’s own thoughts or resolve a problem, then we can consider the conflict to be constructive. On the other hand, if it’s just about being better than the other person at any price in order to win, no one listens to each other with a goal of learning, no one is interested in the content any longer, and the conflict will indeed have this negative meaning that it takes on in everyday language’, he specifies. Another hypothetical scenario: situations where, when faced with an ideological expression unfettered by reality – found, for example, in extremist groups on social networks or among militant intellectuals entirely focused on a plan to transform reality – the listener who simply abstains from intervening takes refuge in a position of non-conflict. Social psychology researchers often speak with relative indifference themselves, which is not that of their peers, but that of a society too consumed with persevering in its existence, unequal though it may be. Research thus shows that schools, in particular, remain a breeding ground for stereotypes (or completely artificial differences, to put it another way). Fabrizio Butera recalls a study conducted in France by Carine Souchal, Marie-Christine Toczek, Céline Darnon, Annique Smeding, himself and Delphine Martiot among schoolchildren who were science-oriented, and therefore higher-performing in this subject: having experienced the same test lesson, one third of the students took an evaluation declared to be selective, one third took an evaluation formulated as an opportunity to improve their knowledge, and one third took no evaluation. In the case of performance, the boys eclipsed the girls, without any evaluation the latter were more successful, and finally, with a learning-based evaluation, everyone reached an equal, high success rate. Professor Butera notes that all they had to do was change the stated aim of the test to change the students’ results. It must be said that the selective systems provoke even more fear in those who are in a position of vulnerability, be it psychological, cultural, social or gender-based. In addition, two studies were conducted in Lausanne with chemistry students on the one hand and criminal science students on the other (the latter field has a numerus clausus), then in medicine (with no official numerus clausus, but with its perception by a certain number of students). They revealed reduced academic goals only among those subject to a real or perceived numerus clausus: the researcher explains that this drop in motivation is due to a sense of loss of control when faced with a context where students no longer entirely feel they are the masters of their own destiny, no matter what they do (study led by Nicolas Sommet, Caroline Pulfrey and Fabrizio Butera). 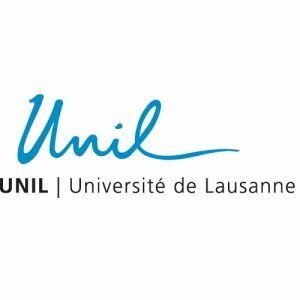 When it comes to social inequality, studies conducted among teachers and/or students of the University of teacher education of Lausanne demonstrate an unconscious tendency to discriminate against working-class students in evaluations, even though they attain similar results to those of their middle-class counterparts! As part of Anatolia Batruch’s doctoral studies and Frédérique Autin’s post-doctoral work, researchers presented evaluators with fictitious cases of students with borderline grades who had to be directed towards a general or baccalaureate prep-school track; of these files mentioning the parents’ profession, half indicated a working-class background, and the other half a well-to-do background. And it was, indeed, in this group from a privileged social class (but on the same academic level) that more ‘borderline’ students were found to be sent towards a baccalaureate prep-school track. The same discrepancy appeared in a study where examiners were given a dictation manipulated by researchers, where underprivileged students received worse grades than others despite having made the same errors. Far from the meritocratic ideal, it truly seems that young people with little social privilege are punished…when they succeed. Shall we go on? A study on memory saw files on students from different backgrounds submitted to evaluators who were meant to remember previous grades earned by these fictitious students; in a context of so-called social order, the ‘poor’ students had worse grades than the ‘rich’ students…but the memory of those teachers questioned was really put to the test in a situation of so-called social disorder (‘rich’ students with worse grades than ‘poor’ ones). Unsurprisingly, it was in this second configuration that evaluators were incorrect more often, remembering worse grades…for the students in underprivileged social situations! Everything proceeds as though, in a situation of evaluation, instructors are trying to reproduce the system or even, when it’s interrupted by planned chaos, put things back in order. Fabrizio Butera concludes for this that ‘inequalities are not based on something fixed, such as intelligence, temperament or personality’, but that they depend on an academic context based on selection and competitive culture. One final example? A study on cheating demonstrated that those who most identified themselves with neoliberal values of accomplishment, self-promotion and enrichment are those who cheat the most, even if this means masking their crime with a shameless lie (study by Pulfrey, Butera). It’s therefore clearly the political culture in which we live that determines the type of school that we have, far more than the desire to improve an academic system that, researchers have been telling us for some time, recreates social inequality in every country that undergoes a PISA evaluation every three years. If someone told you that the scientific knowledge steadfastly pursued by Professor Butera is a look into the belly of the social beast, there would be very little exaggeration to the claim.